Mother of Divine Grace School's directors, consultants, teachers, educational advisors, and office staff, are committed to helping you in your homeschooling and academic needs. Mother of Divine Grace School's Directors are all qualified home schooling mothers who have worked as consultants and teachers in their field for over ten years. They are familiar with the classical methodology, all of the materials that we recommend, and every aspect of our programs. Our Directors work to ensure that the children enrolled in Mother of Divine Grace School receive the best education possible and that our families receive the proper direction and support from our consultants, teachers, and staff. Mother of Divine Grace School's Consultants are successful home educators who are available to provide counseling, support, and curriculum guidance to our enrolled families, particularly with regard to designing and implementing the classical curriculum. Their individual home schooling experience has developed their expertise and teaching style. Our consultants are adept at managing and home schooling large families, utilizing resources already available to a family, and adjusting the curriculum and lesson plan developments of others to the family's fullest advantage. Our Special Services Consultants offer additional assistance in educating and raising children with special needs, providing guidance and support when it comes to balancing both raising a large and active family and caring for a child with special needs. Mother of Divine Grace School makes every effort to ensure that the consultant who works with each family is suited to that family's needs and goals. 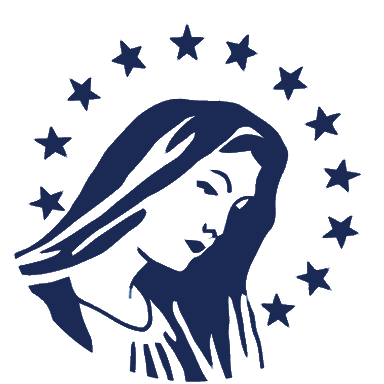 Mother of Divine Grace School's Teachers have been trained in the methodology of classical liberal education. Our teachers were either homeschooled themselves or have homeschooled their own children. In addition some of our teachers have teaching degrees and experience either teaching in the classroom or personally tutoring children in various academic courses. However, the most important attributes of our teachers are their familiarity with the material, their understanding of the methodology, and their ability to work with students guiding them through the academic stages. Mother of Divine Grace School's Educational Advisors offer guidance and direction to our consultants, teachers, and staff in maintaining the classical nature of the program. They have been instrumental in the development of Mother of Divine Grace School's curriculum over the years and in preserving its classical nature. They have provided our directors with suggestions, direction, and guidance in many subjects drawing on their years of experience in their various fields. Mother of Divine Grace School's Office Staff handle our school records, requests for information about our methodology, materials, programs and enrollment.